Despite what some might think, dust suppression is not a new technology. In reality, dust control has been around for decades, however as regulations have become stricter, operators have sought new innovative methods for meeting compliance guidelines. For years, companies suppressed dust using hoses and sprinklers. One was made for irrigation and the other for putting out fires. Both are really good at what they were originally intended for; providing maximum water flow. Research has proven that these methods are not effective methods for controlling dust and can often cause more harm than good. Over the last decade, a lot of thought has been given to dust. The first products developed specifically for dust suppression are based off a few principles in making regulatory compliance easier and more cost-effective. DustBoss atomized mist technology was developed solely and specifically with dust suppression in mind. Atomizing a substance is to convert it into very fine particles or droplets. Atomized mist technology uses specially-engineered nozzles to fracture the stream into millions of fine droplets of water. It all comes down to the Slipstream Effect. In order to actually catch fugitive dust in the air and bring it to the ground, the water droplet and dust particle need to be roughly the same size. If the droplet is larger than the dust particle, the dust particle has a tendency to follow the airstream around the drop. If the diameters of the water droplet and dust particle are comparable, the dust particle is more likely to collide with the droplet and be absorbed, driving the dust to the ground. A rain storm can generate droplets in the 2,000 to 6,000 micron range and industrial sprinklers can achieve ever greater than that. In addition, the larger water droplets can disturb the dust on the ground, creating more fugitive dust. Atomized mist disperses droplets in the 50 to 200 micron range, the ideal range to capture airborne dust. Watch how atomized mist functions to capture fugitive dust for effective dust suppression! Hoses and sprinklers can wet surfaces to prevent dust (surface suppression), even if they use a lot more water than is necessary. Fog systems generate even smaller droplets than mist and may actually be required in certain circumstances. However, in addition to being high maintenance and expensive, often requiring distilled water, compressed air, and highly control conditions, fog systems do not use enough moisture to create any residual benefit on surfaces. Atomized mist is the only technology that can both drive airborne dust particles to the ground and seal the surface to prevent fugitive dust. 3. Small water droplets + enough water = incredible coverage. Smaller droplets have the potential to travel farther because of the higher ratio of surface area to mass, which means the influence of air pressure compared to gravity is relatively greater. Therefore, the air will keep them aloft longer before gravity brings them down. In other words, heavier water droplets will fall victim to gravity more quickly. We see this in clouds. When water droplets grow too large, they fall as rain. Smaller water droplets can be more prone to evaporation, which is why you need the right nozzle for your situation. This may actually be the desired effect depending on your situation. Fog cannons are simply incapable of significant coverage due to evaporation. Remember when we said fog systems require controlled conditions? Ideally, this means enclosed, with no wind movement. Fog must linger in the air, undisturbed, to slowly bond to dust particles. Pairing atomizing nozzles with an aggressive fan can help droplets power through air resistance, achieving coverage up to just under five American football fields using the DustBoss DB-100. Mounting a DustBoss on a tower can increase coverage even more, in addition to improving overall effectiveness. 4. At a certain point, more water won’t improve dust control and can create problems. Not too much, not too little. Like Goldilocks, it's about finding what is just right. In terms of dust suppression, the DustBoss delivers enough water to cover large areas and seal surfaces but minimizes the potential for over-saturation and run off, which can both be costly if not managed properly. 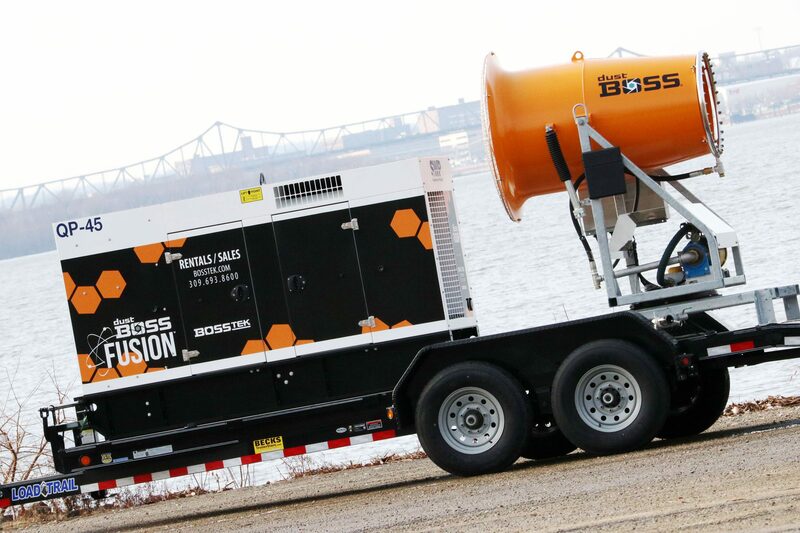 Not only is mist more effective than sprinklers, the DustBoss uses up to 21 times less water. You can try to save money with older dust suppression methods, but it results in spending more in the long run. Atomized mist technology creates benefits that go beyond just the flat dollars saved on the water itself. 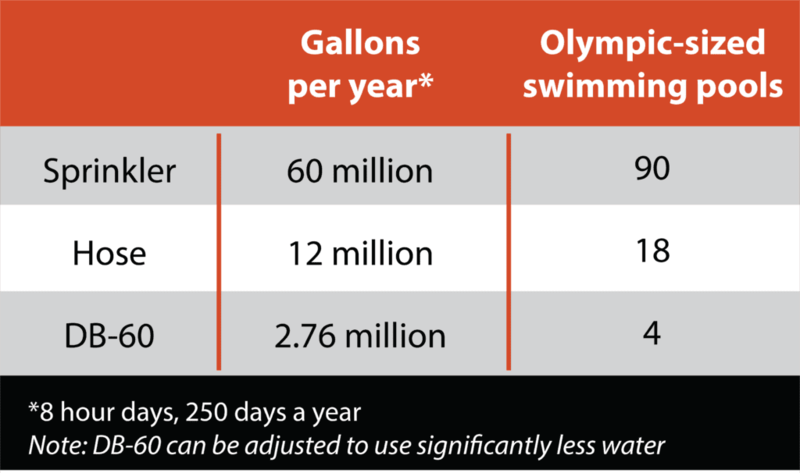 More strategic water usage and lower associated cost. Reduced storm water effects and runoff, critical in keeping air and land pollution in balance. Fewer pools of water to ensure a safer and more efficient worksite. 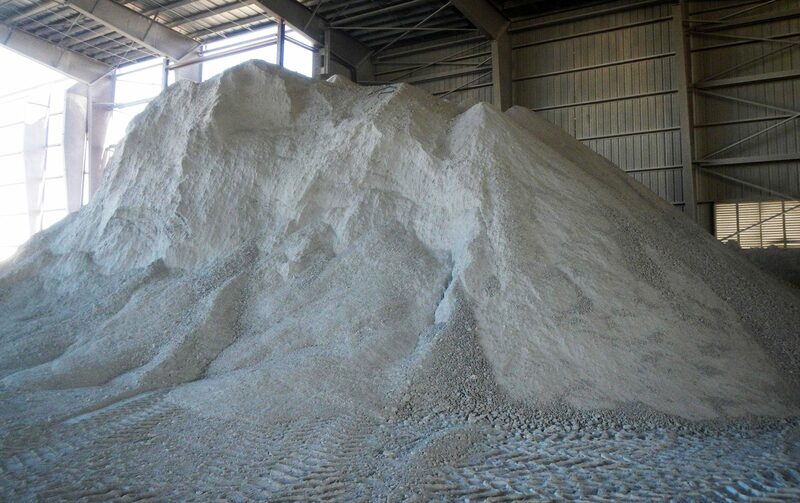 Avoided product over-saturation, often creating a muck that is difficult to handle and sticks to facility surfaces and equipment, shortening the life of both. Reduced labor costs due to the DustBoss not requiring personnel to operate. Set it and forget it! This entry was posted in Blog, DustBoss, News. Bookmark the permalink. Both comments and trackbacks are currently closed.